Confocal immunofluorescence with either anti-PfRab5a (A) or anti-PfRab5c (B) in untreated parasites (control) compared to fosmidomycin (+ FSM) and fosmidomycin + geranylgeraniol (+FSM +GG-ol) treated parasites. 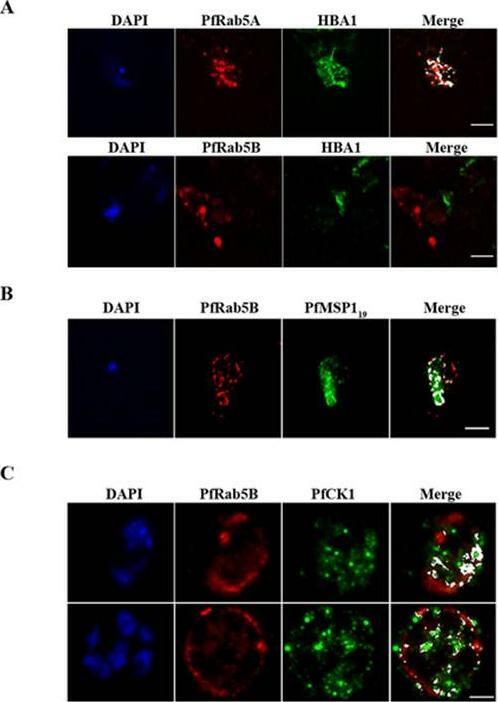 Pf-Rab5a and Pf-Rab5c were dispersed in punctae throughout malaria parasite cells. 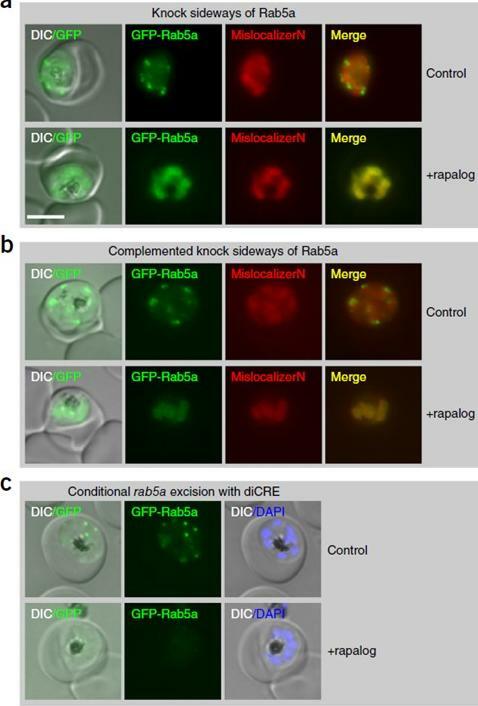 Upon fosmidomycin treatment, a dramatic mislocalization of Rab5a occurred in the majority of treated cells, such that Rab5a was no longer present within the parasite cell, but instead was found at the membrane of the host erythrocyte.Howe R, Kelly M, Jimah J, Hodge D, Odom AR. 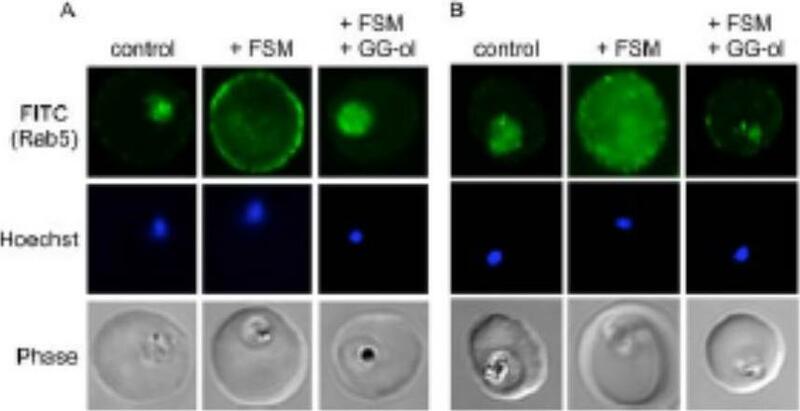 Isoprenoid biosynthesis inhibition disrupts Rab5 localization and food vacuolar integrity in Plasmodium falciparum. 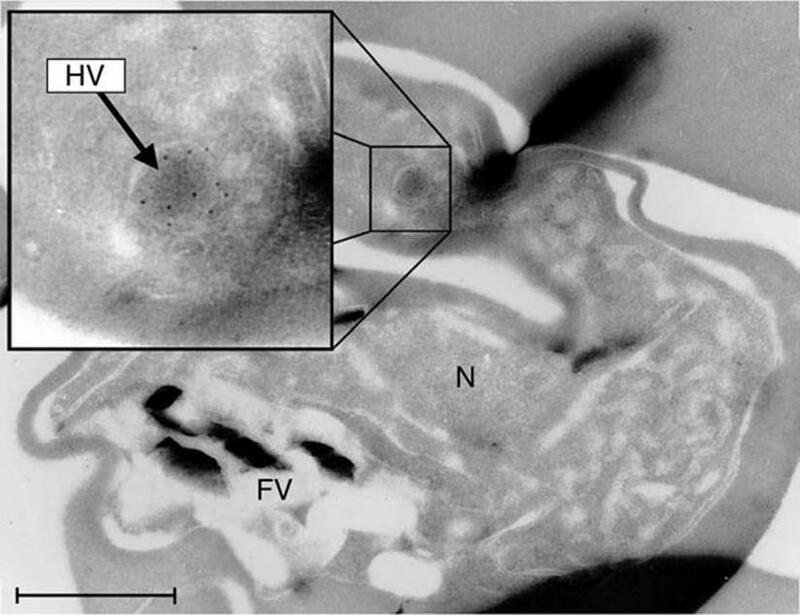 Eukaryot Cell. 2013 12(2):215-23 .